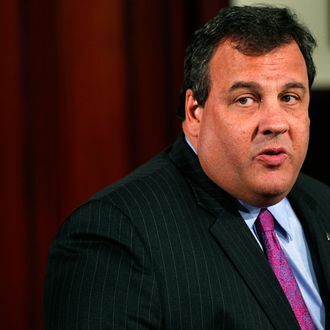 Chris Christie’s two summertime beefs will collide on September 13 when Senator Rand Paul visits New Jersey to campaign for Republican Senate candidate Steve Lonegan. Christie has been invited to participate, and he did managed to appear enthusiastic when endorsing Lonegan, his former rival, over Cory Booker, his Democrat pal. However, we doubt the New Jersey governor would be able to restrain himself in the presence of the guy who called him the “king of bacon” just a few weeks ago. Christie said he was too busy when Paul invited him to grab a beer and smooth things over, and we expect that next week just got unbelievably busy for the governor.